With an operative production capacity of over 50,000 ring spindles we are one of the biggest producers in Europe. 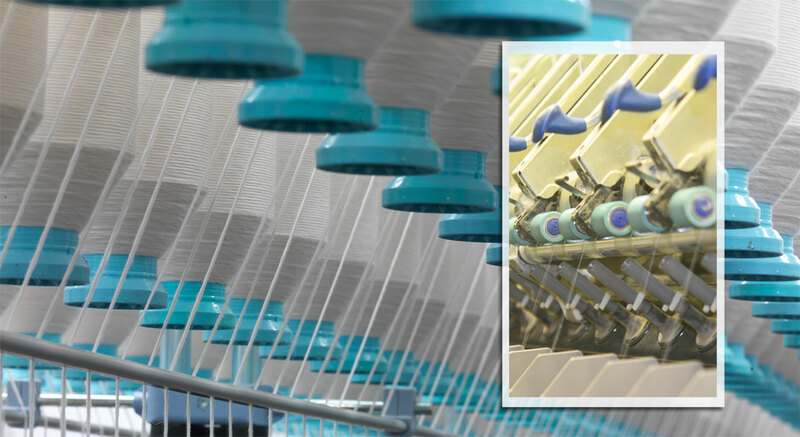 Due to continuous investment, our yarns are produced on the most modern installations, comprising the spinning frames as well as all other areas, the entire preparation line, carding, state-of-the-art combing machines, draw frame and roving section. Our capability to offer intimate blends of up to 5 different fibre components is becoming an increasingly valuable success factor. The production programme includes the compositions and manufacturing of raw white yarns and coloured yarns in an enormous range of compositions depending on the application following customers’ requirements. In addition, a variety of spun effect yarns such as particularly coarse counts, slub, shantung or nep appearance are part and parcel of our portfolio. The yarn count ranges from Nm 3 (Ne 1.8) to Nm 120 (Ne 70). Further types of yarn counts are possible on request. Visually contrasting fibre materials are systematically spun in spatially separated areas. We produce classic ring spun yarns in conventional as well as compact versions; other spinning systems are also possible.